Today's Prompt: Sharing Resources. Create a “care page” – a list of your best resources that someone who is newly diagnosed could go to when starting to advocate for themselves or a loved one. Remember to include sites that lead to successful self advocacy! I could tell you all about advocacy resources…or I could tell you a funny story and still manage to throw in some truths about advocacy. We all know what I'd rather do. Being an advocate doesn't have to be anything grand. The first time you speak up for yourself or your loved one, you've joined the ranks of advocate. For a person with diabetes, maybe it's when you asked your well-meaning relative to stop policing your dinner plate. Maybe it was when you stood up to your boss because he told you to get back to work when you were taking a minute to check your blood glucose and treat a low. Maybe it was when you told that rep with the insurance company that you absolutely needed more test strips than 4 per day and that she should honor your physician's orders. It starts small. But it starts. It has to. As I've said before in a post on resources for workplace rights, I like to think of myself as an advocate for the next person you'll meet with diabetes. If I conduct myself responsibly and prove that diabetes doesn't stop me, you'll think twice before you size someone up on the basis of their diabetes. You'll be more understanding to your employee with a child with diabetes. 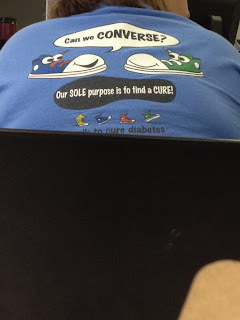 You'll consider dating that guy with diabetes. But...sometimes it's easier to slide back down that patient activation scale and just take care of your own. Case in point, the DMV. In 2008, before I did any advocacy work, I went to get my driver's license renewed. A responsible woman, I dutifully checked "Yes" on the line that asks "Do you have a health condition that may impede communication with a peace officer?" Sure. I mean, if I were experiencing a low blood sugar that caused me to drive erratically or wreck my vehicle, that could totally be a problem. "Yes." I then had to fill out a corresponding medical form. I could check "No" on almost every line but one. "Do you have diabetes requiring treatment by insulin?" My number is called and I make my way to the clerk. She stares at my form and doesn't start typing. "Um, do you want your license to say that you have diabetes?" I think for a minute about the other times I show my license. With a credit card purchase. To buy a drink. I think of the personal information I'm willing to give just anyone. Inviting judgment on my choice to have a drink or buy cartloads of junk food for a party. I had an advocacy opportunity right there. I could have droned on and on about what that phrase means to me. What she was really asking was if it is ever possible that I might have an "episode" behind the wheel. As though monitoring my blood sugar can prevent that with any degree of certainty. As though people with diabetes don't have sudden swings in their blood sugar or malfunctions in their insulin pumps or develop hypoglycemic unawareness as they age. But I tell her what she wants to hear instead. "Yes, I suppose I am well-controlled." I watch as she marks through my "Yes" and checks "No" - No, I do not have diabetes requiring treatment by insulin. Cured by the Department of Motor Vehicles. Who knew that was what it would take? Recently, I lost my driver's license out of my unzipped Spibelt whilst babywearing Dibbs. So...back to the DMV five years later. This time, I stared at the line "Do you have a health condition that may impede communication with a peace officer?" I sent out a tweet for others' feedback. When I told my DOC friends what happened last time, about my cure, Bennet remarked "Who says government health care doesn't work?" Ha. I decided to check "No" this time. At that moment, I looked up to see a teenage girl in a JDRF t-shirt sitting in front of me. Oh, how I wanted to tell this teenager about the resources available to her family. About TuDiabetes. DCAF. The DOC. But I don't have diabetes at the DMV. I put my head down, paid my replacement fee, and drove home…but I checked my blood sugar first. Just to be on the safe side. I just got a new license, as I changed to my married name. In WI they ask 'have you lost consciousness due to one of the following medical conditions in the last 6 months? '......I haven't, so I can always mark no. There are no other medical questions involved, so no one at the DMV has ever known I have diabetes. It's interesting to me to see how other states handle this for licensing! Yet I absolutely love it! Love it - I mean all your advice about advocacy. I also loved Bennet's comment about gov't health care. 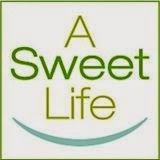 As you know I read all my adult friends with diabetes blogs as a mom of children with diabetes. I learn so much from you and other pwd that share the good, the bad, the ugly and the stupid. My daughter has a number of years before we visit the DMV and my son has even longer - I would love it if they didn't have to check any boxes but as their mom I think I will want "Diabetes" on their licenses alas I will likely leave it up to them. Maybe by the time they are driving the navigational screens will be able to show CGMS results so they know where they "are". I like your idea about CGM talking to smart phone talking to dash screen! I have never wanted to tell the DMV about my Diabetes, WI wouldn't let a HS friend get a license due to epilepsy. I do however have reflective stickers on front and back glass of both my vehicles saying the the driver might have type 1 Diabetes. I had ZERO problem with the licensing process in Florida. My license said "Diabetic" but I didn't have to do anything special regarding it. In Nevada, like you, I marked the communication with a peace officer question. The (rude otherwise) clerk asked me if I wanted to go to my doctor to get a form that cleared me to drive. When I told him "not really" he changed my answer and the DMV has no idea I have diabetes.